The Diploma of General Celebrancy is achieved by completing Module 1, Module 2, and Module 5. This Diploma is about the almost limitless number of Milestones in Life which are enriched by marking with a ceremony. We have found the most important ceremony, apart from Weddings and Funerals, is the Naming or Namegiving ceremony which is mainly for babies. Celebrants must be skilled to co-create ceremonies for Adolescence, as in the Jewish Bar Mitzvah or Bat Mitzvah, or perhaps on Leaving a House, or Dedicating a New House. The renowned David Oldfield of Washington DC has written wonderful ceremonies for those reaching mid-life or are entering old age — both major milestones in life. Clients may require a ceremony at the start of a new business or for the launching of a fishing boat. Ceremonies should mark important birthdays – 18th, 21st, 30th, 40th or any birthday you wish. The list goes on. An idea of where the most demand is, can be found in the Table of Contents of Ceremonies and Celebrations. 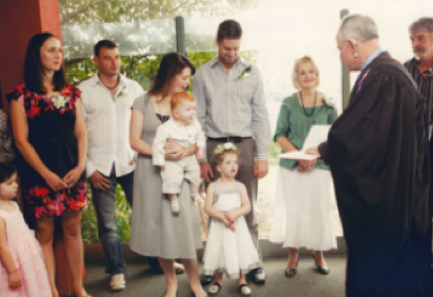 Some people study for this Diploma to prepare themselves, not to become a professional celebrant, but to co-create ceremonies for their own extended family. To take in the content of this course read the description of the relevant Modules.